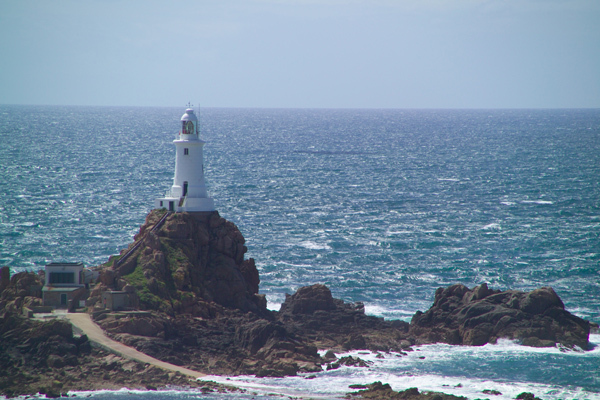 Photograph of Corbiere Lighthouse, Jersey, The Channel Islands. One of the most photographed buildings in Jersey is the lighthouse at La Corbiere. Corbiere Lighthouse was the first concrete lighthouse built in the British Isles. It stands 135ft above sea level and the light can be seen up to 18 miles away. VIEW: More images from the category Corbiere Lighthouse, Jersey, The Channel Islands or taken at the same location .